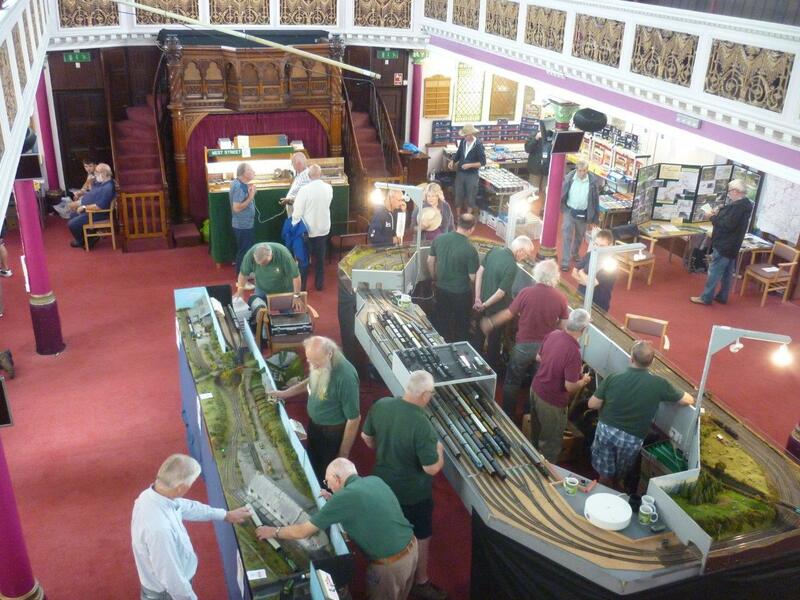 On Saturday 28th July two of our shareholders, Chris Lane and Barry Marshall attended the Barnstaple District Model Railway Club Exhibition at the Christ Church in Bear Street, Barnstaple with the Exmoor Associates Show Stand. 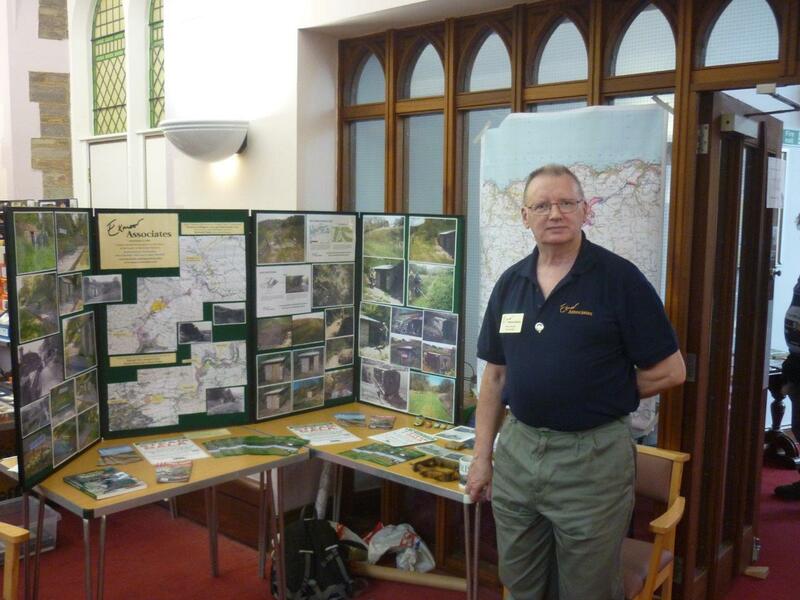 This was the second occasion we have exhibited at this annual Exhibition. 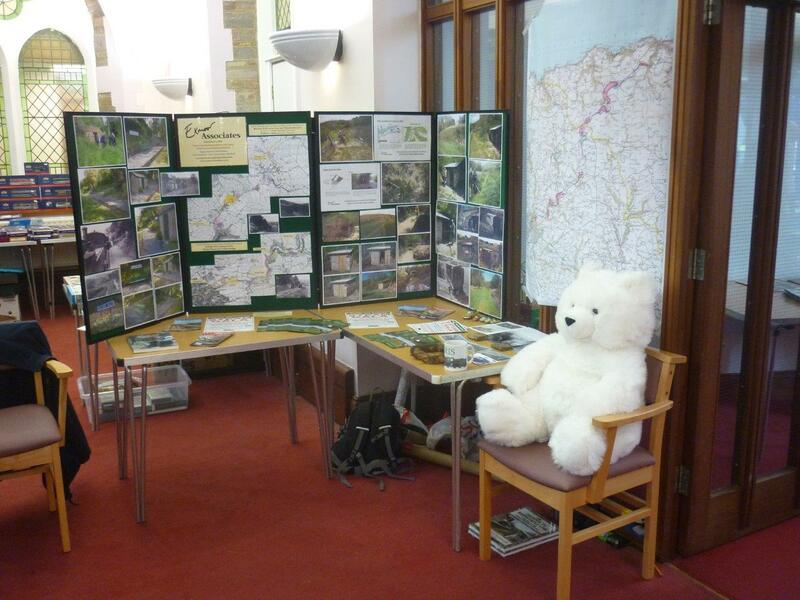 We were able to inform visitors of EA’s land purchases in support of the Lynton & Barnstaple Railway and of EA’s volunteer efforts. 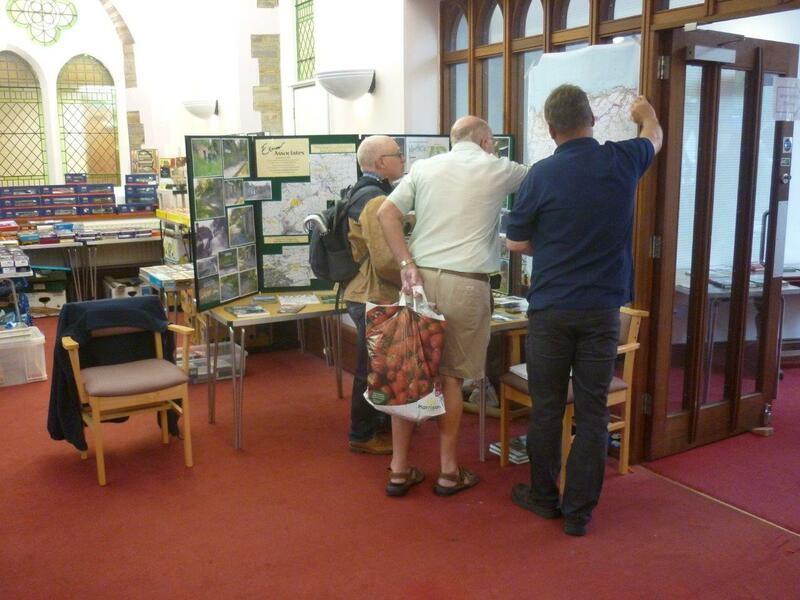 Chris brought his map showing sections of trackbed already owned by the L&B and EA, and Barry brought the EA photo display boards. Sadly the L&B was not represented at this show, but many visitors to the exhibition expressed a keen interest in the Railway at Woody Bay, and in particular to the excellent news regarding the recent planning consent permitting the L&B to extend the line from Killington Lane to Wistlandpound Reservoir. View from above depicting part of the exhibition including EA’s stand. 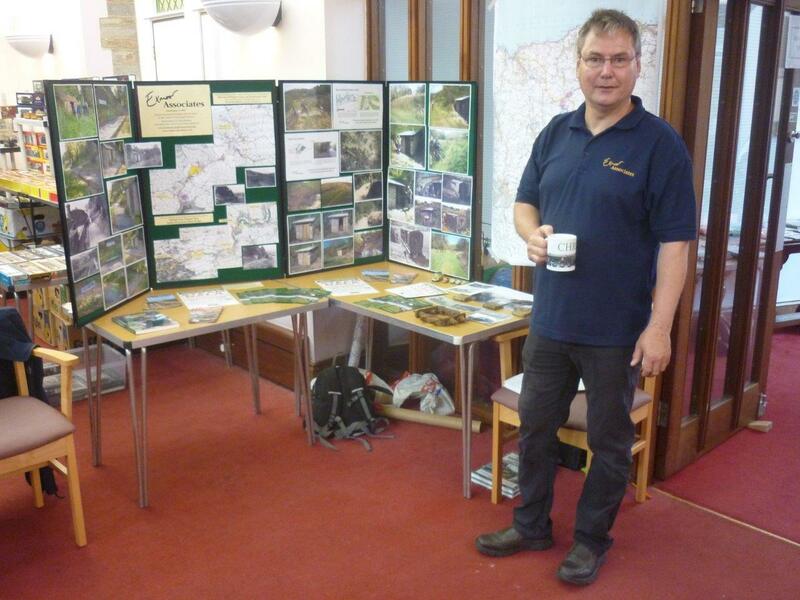 There was a constant stream of interested visitors to our stand throughout the show. Both Chris and Barry will once again be in attendance with our Show Stand on Saturday 8th September at the Combe Rail Model Railway Exhibition at the Landmark Theatre in Ilfracombe. This being a local show, readers from further afield may care to know that Exmoor Associates will also be represented at Woody Bay during the L&B Autumn Gala Weekend over the weekend of Saturday 29th & Sunday 30th September.